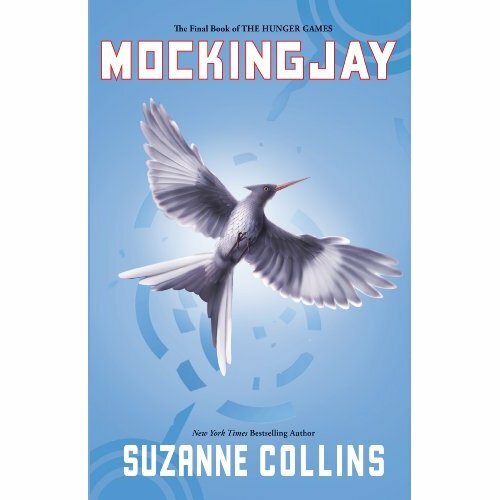 Third and final book in the Hunger Games trilogy by Suzanne Collins . Katniss and Peeta, with some other victors, escaped the Hunger Games. District 12 has been destroyed and Katniss, Prim, their mother, Gale and some others have escaped the bombing of their home. Finnick, Katniss and Beetee made it out of the arena, but the Capitol took Peeta. In district 13, President Coin makes a deal with Katniss- Peeta will be offered immunity if Katniss agrees to be the Mockingjay. Katniss becomes the Mockingjay, and finds out that Peeta is being held in the Capitol being tortured to find out information about the rebellion with Johanna. When Katniss finds out, she panics and needs to be sedated. When she wakes, she finds that a mission to rescue Peeta and Johanna is taking place. Finnick tells her this, and Katniss is distraught. The mission is a success. Katniss immediately goes to visit Peeta. She runs for him and hugs him, but Peeta tries to strangle her… Katniss learns that the Capitol hijacked his memories with Katniss so that he saw her as a mutt. She is horrified, and then starts to believe Peeta might be seeing her as she really is- cruel, manipulative and deadly. This is a great end to the Hunger Games trilogy. It is slightly confusing with so much going on at first, but later on everything makes more sense. The series is great for 11-14 in general. Amazing series!! 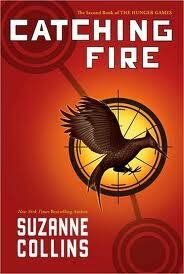 Second of the Hunger Games trilogy by Suzanne Collins. Katniss Everdeen and Peeta Mellark have survived the Hunger Games, but they are still in danger. President Snow visits Katniss’ house and tells her he knows she kissed her friend Gale… and that several Districts believe Katniss’ ‘berry trick’ was an act of rebellion, not love. President Snow tells Katniss that she will have to marry Peeta and convince him that she loves Peeta… or there will be consequences. Katniss tells Peeta and Haymitch about this, and Peeta is upset- he really loves Katniss, and wanted it to be real. In a live interview, Peeta proposes and Katniss accepts. Soon Katniss gets wedding gowns said to be approved by President Snow himself. Katniss is upset about this, as she realizes she will never be able to have a life of her own- she will have to marry Peeta, and be on camera all her life. One day, in town, Peeta, Katniss and Haymitch find Gale being whipped by a new head Peacekeeper. Next to him is a dead turkey. Katniss runs in front of him and the next lash hits her face. Peeta and Haymitch come to help her and stop Gale being whipped. They take Gale to Katniss’ house and Katniss’ mother heals Gale. When Gale is at her house, Katniss realizes she loves him. This means Katniss and either Peeta or Haymitch are going back into the arena. At first, Katniss is upset. Then she decides she wants to go talk to Haymitch. She finds him in the pub, drinking. She asks him to help her keep Peeta alive this time. He agrees, and Katniss gets drunk as well. She goes home and wakes up with a hangover. Peeta is mad at her- he tells her they can’t afford any drunkards right now. Peeta says they should train like the Careers, and they do. They get ready. At the reaping Katniss and Haymitch are chosen, and Peeta volunteers. At the opening ceremony, Katniss and Peeta meet their competition. Katniss meets Finnick, a victor from District 4. This year they go for training again, and Katniss shoots so well in front of everyone that almost everyone requests her for an ally. Katniss refuses. Catching Fire is another amazing book, though the first book seems better at first because Catching Fire can be quite confusing. In the trilogy the first book seems best, though when you reread them they are all amazing. First of the Hunger Games Trilogy by Suzanne Collins. Written in the point of view of a sixteen-year-old girl, Katniss Everdeen. The book is set in Panem, where North America used to be. The Capitol controls Panem, and they hold an annual event called the Hunger Games. 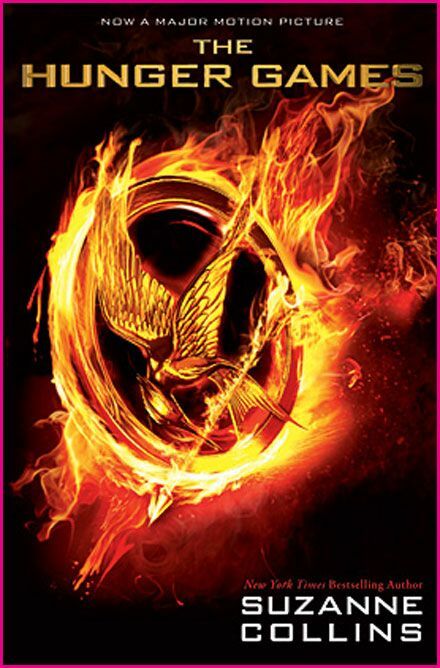 The Hunger Games is when one boy and one girl between the ages 12 and 18 are chosen by lottery from the 12 districts surrounding the Capitol, and they are put into an arena where they have to fight until one victor remains. Katniss Everdeen’s sister, Prim, is chosen, and Katniss volunteers to go in Prim’s place. The boy tribute is Peeta Mellark, a boy who once saved Katniss and her family by giving them bread when they were starving to death. In the Capitol, Katniss and Peeta have to go to training sessions and their mentor, Haymitch, tells them they have to appear mediocre- they can’t show the other tributes their strengths. They save those for their private training sessions in which they show off their skills to the Gamemakers and are scored out of twelve. Peeta receives an 8 and Katniss an 11. The last thing before entering the arena is a live interview broadcasted to the whole country. In Katniss’ interview she is amazing, and everyone loves her. In Peeta’s interview, he declares his love for Katniss and the whole of Panem now sees them as “star-crossed lovers”. Katniss is angry and after the interview ends up hurting Peeta, then feeling guilty because they leave the next day. Really good for ages 11-14 and the books are amazing.